Students must officially notify the International Programs in Engineering (IPENG), by email or in writing, of withdrawal from a program. It is not sufficient to withdraw an application online. University of Illinois students must withdraw from the study abroad registration or course in UI-Integrate, must notify their college, and must notify their study abroad program provider of host institution (if applicable). If the Illinois course-drop deadline is past, students must contact their college office to drop the study abroad registration. Students who withdraw from a study abroad program and do not return to the University of Illinois for that term must contact their college office and follow the established procedures pertinent to their situation so they will be allowed to register for the following term. Whether a student withdraws them self, or is withdrawn from by IPENG staff, the date IPENG receives/sends notifications of withdraw is the date by which any refund will be calculated (regardless of the date the on-line application is withdrawn). Depending on the situation, there may be a balance due at the time of withdrawal. Those charges will be billed to your student account and must be paid to the University of Illinois according to established policies. No refunds of any kind will be made once student arrives at the program site and begins the program. The only exception is extremely serious and verifiable health matters. In that case recoverable costs will be refunded. Under no circumstances can any requests for refunds be considered for students who complete the program. Should a program cancellation become necessary for health and safety reasons, every effort will be made to refund recoverable costs to participants. The time of program cancellation will determine the actual recoverable costs. The closer the program is to the start date, the less recoverable costs will be available. 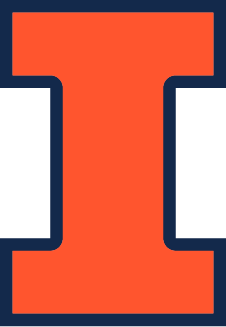 Students whose conduct while on the program is deemed undesirable and whose actions are in violation of the University of Illinois’ Student Code, as applicable to the study abroad program. Student will be dismissed from the program and subject to campus disciplinary reviews. Students whose conduct is in violation of the rules and guidelines of the sponsoring institution abroad. Students whose conduct is in violation of regulations set forth by the on-site Resident Director. Students whose conduct is in violation of the foreign country’s civil and/or criminal statutes. Situations in which the behavior, whether academic or social, of the student causes his/her presence in the program to jeopardize the reputation of the program, the participation of others in the program, or the safety of the student or other participants. Students dismissed from the program for the above reasons will receive no credit for their academic work and will not be entitled to refund of any kind.